People injured by a distracted driving accident is on the rise in Missouri and in the United States. Unfortunately, accidents caused by distractions are also on the rise as people increasingly pay attention to things other than the road. If you are the victim of one driving while distracted then you have a right to be compensated for your injuries, property damage, lost wages, as well as your pain and suffering. 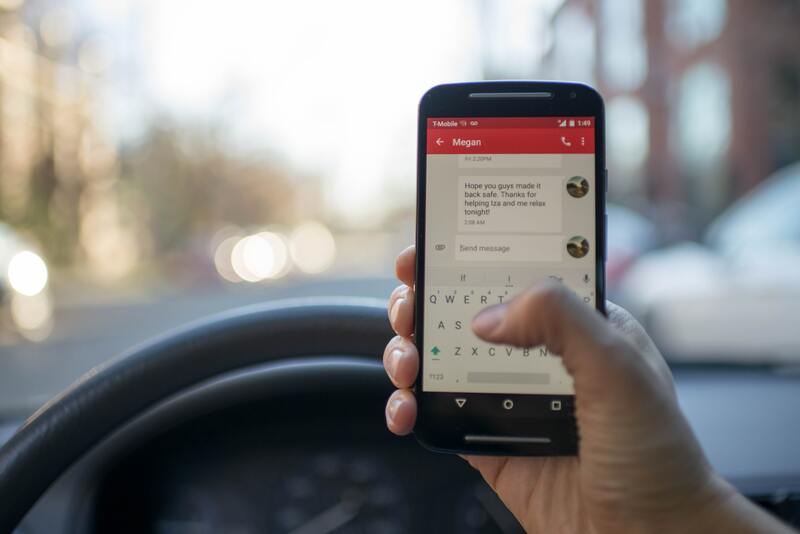 Springfield Injury Law is a distracted driving accident attorney firm that regularly handles distracted driving cases in Southwest Missouri and is ready to assist you. Contact our office today. People who engage in these activities are putting others at risk. Fortunately, there are things an attorney can do to prove that someone was driving while distracted. This includes acquiring the other sides cell phone records, along with other information, which can show that someone was paying attention to something other than the road while driving. If you have been a victim of one not paying attention to the road then it is important that your attorney understand how to build a case on your behalf. Springfield Injury Law assists residents of Missouri who have been injured by a distracted driving accident. Once retained Attorney Tom Kapstrom will immediately issue demands to cell phone providers, the negligent party, and other appropriate entities that all records be preserved. If a complaint must be filed in the Circuit Court then Tom will use discovery (the process by which information is obtained from the other side) to gather evidence that the other party was paying attention to something other than the road. This may include obtaining records of when the person was on their cell phone, when they were consuming other media, and when the person was sending or receiving text messages. It is important that you do not allow this important evidence to slip through the cracks. Contact our office today. Tom Kapstrom is distracted driving accident attorney that is highly experienced in both personal injury law and car accident cases. After graduating law school in 2003 he worked at an insurance defense firm for many years. In this role he regularly conducted the type of discovery that is required in distracted driving cases. This experience also showed him the types of arguments that insurance companies will make in cases such as these. Having a personal injury lawyer who has been through these situations can be invaluable to your case. Contact Springfield Injury Law today for a free initial case assessment. Tom also handles a number of other case types in Greene, Christian, Stone, Taney, Polk, Webster, Wright, and Lawrence Counties as well as the Ozarks. These types of cases include pedestrian accident cases, lawsuits stemming from bicycle accidents, rear-end collisions, and four-way stop car accidents. Contact our office today.